Each and every one of us has certain goals that we want to achieve in our lives. Unless we persevere and commit ourselves totally to achieve our personal or financial goals they cannot become a reality. Financial goals refer to the monetary objectives and goals of an individual or organization. 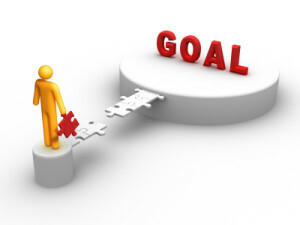 Setting financially viable goals helps us to define what exactly we want and motivate us towards accomplishing it. Predetermining a financial goal is the best way to accomplish your financial targets which involves proper budgeting of money and understanding financial priorities in order to create a sustainable spending plan. Yes, setting proper financial goals will lead you to the road to financial security. In today’s world financial ambitions are very important. We all strive hard for a financially free life. Moreover all our other goals in life are in some way or the other interrelated or influenced directly or indirectly by the financial goals that we set. The importance of setting financial objectives assures that we will have no regrets in the future of not having achieved or accomplished something purely due to lack of insufficient funds. These financial goals may be short term, long term or intermediate term and they vary from one person to another. Hence it is very essential that one understands clearly how to prioritize their goals and the time needed to accomplish the same. Financial ambition assures financial stability and getting all the things that your want in life. It is quite challenging to accomplish your financial dreams if financial issues crop up and seem to take priority. Hence you have to set smart financial ambitions and commit yourself towards accomplishing it. The following are the ways to set financial goals. 1. Identify and pre-define viable financial ambitions, classify them and list them down in order of their priority and time frame required to accomplish them. 2. Analyze and study correctly where you are right now, your income and other sources of revenue. The difference between where you are and want to want to become is your ideal financial target. 3. You can set both short term and long term goals. 4. Estimate the cost and set the target date for each of your financial dreams on the list. This will help you determine how much you exactly need to save. 5. Now modify your budget accordingly and you will experience all those goals turn into reality. 1. First and foremost of all make sure to set only specific, measurable, achievable, realistic and timed goals because only then it will be apt for you to realize and effectuate them. 2. Be realistic about how much time and money it will involve to achieve your goals. An over estimate or under estimate will only put in unnecessary frustration. 3. Stay motivated and committed by evaluating your progress. Remember this is very crucial in achieving your set goals. 4. Never give up if setbacks occur, instead stay motivated by setting a new date. Change your strategy and continue taking relentless efforts and massive action. 5. Have many goals and determine which one is more important for you in order to prioritize them. Without specific financial ambitions your future might be at stake. Hence of all the goals that you set in life financial goals are very important as everyone desires to be financially free. Yes, setting smart financial goals paves your way to financial success.